Turin (Turin in piemontese and in occitan) is the fourth italian city with 862,000 inhabitants, and is the capital of the province with the same name and of Piedmont region. Visit Turin and Piedmont with the "Turin + Piedmont Card": a pass that gives you free admission to over 190 cultural sights, such as museums, monuments, exhibitions, fortresses, castles and Royal Residences and many reduced prices for activities and exhibitions. The "Turin + Piedmont Card" is available for 2-3 or 5 days. 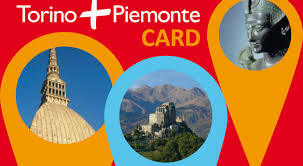 Read more about "Turin + Piedmont Card" by clicking here.